Sometimes exercise and healthy eating just aren’t enough! Many people have stubborn pockets of fat that simply do not respond to diet or exercise. Women may carry fat on their inner or outer thighs, their back, or their arms. Some men carry fat on their chest, over their pectoral muscles. Men and women alike are prone to carry fat around their waist, frequently while the rest of their figure or physique remains quite lean. Some people will always carry stubborn areas of fat even when they are at a healthy body weight. Sometimes this is due to genetics, but hormonal changes as we age can cause weight to shift to the abdomen or other areas where it may not have previously existed. Until recent years plastic surgery was the only option. Now there is a non-surgical option that has become so popular it’s quickly becoming a household name. This medical treatment is known as CoolSculpting. Now you can simply freeze away stubborn fat! No Diet! No exercise! No needles! No surgery! No downtime! No gimmicks! Watch an Actual CoolSculpting Treatment performed at Skinpossible below! CoolSculpting freezes away fat faster and better than ever! CoolMini: This tiny applicator is perfect for small areas like under the chin, knees or that little bulge that pokes out above the bra, under the arms. Treatment time is 45 minutes. CoolPetite: This newest of the handpieces allows us to treat smaller areas previously too small or too large before CoolPetite’s introduction. Treatment time is 35 minutes. CoolSmooth: This handpiece was developed especially for the treatment of the outer thigh fat known as saddlebags. Treatment time is 75 minutes and we can treat both thighs at the same time with two machines! CoolAdvantage: The CoolAdvantage upgrade made CoolSculpting faster and more comfortable than it previously had been. The fat is drawn in more gently so discomfort in the days following the treatment is almost non-existent. It also reduced treatment times from 60 minutes per cycle down to 35 minutes. CoolAdvantage Plus: With all of the advantages of CoolAdvantage, this largest of the applicators are for debulking areas such as the abdomen. A cycle takes only 45 minutes. Cool Legacy: We still own all of the sizes of this older generation of Cooling Devices and we still use them at times. These cycles take 60 to 75. There are other body contouring treatments… so why choose CoolSculpting? Proven Track Record: In the past nine years more than 7 million CoolSculpting procedures have been performed on men and women worldwide. Areas that can be treated include the abdomen, love handles, inner and outer thighs, back fat, bra fat, “banana roll,” upper arms, male chest fat and underneath the chin. It is the most utilized body contouring technology in the world by a very wide margin. Clinical Studies: The CoolSculpting procedure is safe and it works well! The proof is in the 70+ clinical studies that validate its effectiveness. Other body contouring treatments might have a study or two, maybe three, but CoolSculpting has over seventy! The clinical evidence consistently speaks for itself. Many of us have bulges of fat like muffin tops. Those unwanted bulges contain fat cells, which can be resistant to diet and exercise but not CoolSculpting. CoolSculpting use controlled cooling to target and crystallize fat cells. Crystallized fat cells gradually die off, they are naturally released from your body. With CoolSculpting is possible to remove fat from the body. There are other CoolSculpting providers so why choose Skinpossible? Skinpossible is a Diamond CoolSculpting® service provider. We have been doing CoolSculpting since 2013 and were the top CoolSculpting Clinic in Alberta in 2014, 2015, 2016, 2017 and 2018. • Experience: Skinpossible has performed over 10,000 treatments, more than any other Coolsculpting provider in Alberta by a very wide margin. We know what we are doing and this is important. Why? Because CoolSculpting works! Proper positioning of the appropriate applicators by a highly trained and experienced CoolSculpting expert will ensure you achieve the best possible contour. • Education: Our technicians and consultants have attended Coolsculpting University in San Francisco. In fact, our two CoolSculpting lead technicians attended a second time to learn advanced techniques. This is important because CoolSculplting works. The fat will be gone for good. We can’t put it back. Our experience will ensure your satisfaction. • Versatility: Skinpossible has every shape and size of the cooling device so we can treat fat on the inner thighs, saddlebags, muffin tops, love handles, back fat, banana rolls, male chest fat, under the chin, knees, almost anywhere! We also offer SculpSure to expand our body contouring versatility even further. We truly are Calgary’s body contouring experts! • Speed and Comfort: Skinpossible has multiple Coolsculpting machines so we can treat more than one area at the same time. 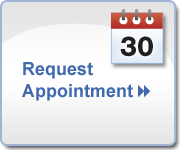 We have two CoolSculpting treatment rooms so wait times are short. We also have the newest upgrades for faster more comfortable treatments. • Location/Parking/Hours: Our Chaparral valley location is extremely private and easy to get to from anywhere in the city via McLeod, Stoney and Deerfoot Trails. Daytime, evening and Saturday Appointments are available. Parking is free! What is involved and what to expect with CoolSculpting? A CoolSculpting treatment begins with a consultation. One of our CoolSculpting experts will sit with you in the privacy of one of our consultation rooms and give you all the information you need to make an informed decision. We will show you before and after photos of what CoolSculpting has achieved for some of our other patients (who had to give us permission to show their photos) and let you know if you are a candidate. Based on which areas of your figure of physique you wish to have treated we can map out a treatment plan that will fit your goals, schedule, and budget. No charge! No pressure! No obligation! Prior to starting your treatment we will weigh you and take photos of the treatment areas from a variety of angles. Since the fat will clear gradually in the weeks following treatment these base-line photos provide a record to refer back to for comparison purposes at the time of your post-treatment follow-up. What the eye doesn’t see every day the brain can forget, so most people really appreciate seeing the side-by-side visible changes. Coloured markings are then used to map out the treatment plan and precisely identify exactly where to place each cooling device to create the best possible contour. Once you are comfortably positioned on the treatment table a thin gel pad will be placed on your skin to protect the skin from frostbite. The appropriate cooling device isplaced against the markings and gentle suction draws the fat into the applicator. Over the next 35 to 45 minutes the fat crystalizes while the surrounding tissue remains unharmed. The gel pad and applicator are then removed and the treatment area is massaged for two minutes. This brief massage can be uncomfortable, but most people tolerate it well. Bringing the fat back to room temperature quickly improves the efficacy of the treatment significantly. The area will feel cool but not intensely cold for approximately 5-10 minutes, a sensation that subsides as the area becomes numb. Then you feel nothing. Your technician will make you comfortable with blankets and pillows and offer beverages and snacks. She will provide you with our guest wifi password, a remote for the television and leave you to relax while the fat freezes. Some people use this time to answer emails, read or simply nap. You will have a pager to call your technician in case you need anything. Your technician will have a timer and will return promptly when the treatment is completed. The crystallized fat cells are gradually removed over the next few weeks and months through the body’s natural physiological processes. Most people start noticing a difference at about the four-week mark but the most dramatic results occur after about 8 weeks. Results and patient experience may vary, but an average of 25% of the treated fat will be gone for good! A follow-up visit at approximately 12 weeks post-treatment will allow us to take photos for comparison purposes and see the before and after results side-by-side. Some people opt to do additional treatment(s) for further fat reduction or contouring. CoolSculpting can get rid of those stubborn bulges of fat without diet, exercise or plastic surgery! If you would like to know what CoolSculpting can do for you call and book your free consultation. We’ll do an assessment and let you know if you are a candidate. We’ll give you all the information you need to make an informed decision. No charge. No Pressure. No obligation. Does a massage using a “vibrational fat blasting machine” help CoolSculpting work better? Clinical studies show that results are significantly improved when the treatment area is massaged after CoolSculpting. If using a machine to perform the post-treatment would help the treatment work better than a manual massage would, we would offer it. We did, in fact, test and compare both methods of a massage by doing a split trial on flanks with a demo unit that was loaned to us. We massaged one flank with the vibrational machine and the other using manual massage. The side where we used the manual massage lost significantly more fat. Click here to see the before and after comparison for yourself. In some cases, SculpSure is a better option than CoolSculpting. That is why we purchased it. According to the clinical evidence, SculpSure does not remove more fat than CoolSculpting or get rid of fat faster. Perhaps the content writers for those websites have not read the studies. CoolSculpting, when it includes post-treatment massage, clears an “average” of 25% of the treated fat. SculpSure can clear “up to” 24%, although it is usually significantly less. CoolSculpting and SculpSure each have unique advantages, and at Skinpossible you have both options. No supplements or pills are required and you do not have to adopt any diet and exercise habits in the weeks following your treat-ment. Many patients feel more motivated to take care of themselves after their CoolSculpting treatment. If there was any benefit whatsoever to having a nurse do your CoolSculpting, we would definitely have a nurse performing these treatments. There is no need for injections or anesthesia, so it is not necessary for a nurse to do your Coolsculpting procedure. If there are any concerns or reasons for caution our doctor will personally review your treatment plan before proceeding. Instead, we have highly trained and experienced laser technicians who specialize in medical aesthetics. They’ve also been trained to give an extra measure of pampering, so you feel well taken care of during your treatment. The previous generation of Cooling devices required 60-75 minutes per cycle compared to the shorter treatment times of only 35-45 minutes with the new updates. The upgrades make Coolsculpting far more comfortable during and after the treatment as well. Remarkably so! There are very few health concerns that would contraindicate you from having the treatment. The CoolSculpting procedure is FDA-cleared and Health Canada approved. With over 5million CoolSculpting procedures worldwide, it is proven to be a safe and effective treatment for non-surgical fat reduction. Yes, you can. The procedure is completely non-surgical, so typically you can return to normal activities immediately. Some patients experience redness, minor bruising, tingling, numbness or discomfort in the treated area, but this is temporary and will resolve completely. Often times, patients return to work after the session is over. Does CoolSculpting hurt? It can be somewhat startling when the fat is drawn between the cooling plates but this is much more comfortable with the gentle suction of the new generation of cooling devices. It feels cool (but not cold) for 5-10 minutes and then you feel nothing at all. The two minute post-treatment massage is uncomfortable (rated 3.7 out of 10) but it is usually we tolerated and over quickly. You may start to see changes as quickly as 3-4 weeks after your treatment and will experience the most dramatic results after two months. Your body will continue to clear fat for up to four to six months after the treatment. Absolutely! Your consultant will make recommendations on the best possible treatment plan utilizing either or both of these two remarkable non-invasive body-contouring technologies. Because we have three CoolSculpting machines and a SculpSure laser, technically four (or more) That would be rare and somewhat awkward unless you have the flexibility of Gumby. We have found that we can usually treat two areas with Coolsculpting easily and we do this every day. Now, with the addition of SculpSure, we can also offer CoolSculpting and SculpSure in the same treatment plan and potentially perform both treatments at the same time. When tissue has been frozen, returning it to room temperature quickly causes further damage. That is why people suffering from hypothermia need to be “thawed out” slowly. In the case of CoolSculpting, however, we want to cause further damage. The two minute post-treatment massage restores the crystalized fat to room temperature quickly, and improves efficacy of the treatment significantly! Typically, each CoolSculpting treatment results in an average of 25% reduction of fat in the treated area. After the initial treatment is complete, you can attain further reductions with additional treatments, resulting in even more fat loss. Treatments can be repeated as early as four weeks, or at any time, if further reduction is desired. Firstly, as with all treatments, CoolSculpting results do vary from person to person. There are hyper-responders, average respond-ers, low responders and, unfortunately, a rare non-responder. Justifiably a few people are disappointed with their results, but on the flip side, most are satisfied and many are delighted. The most common reason for the few reviews that claim the treatment didn't work has nothing to do with the treatment at all. It has to do with the simple fact that what the eye doesn’t see every day the brain forgets. When people return to the clinic for post-treatment photos, sometimes they have forgotten what they looked like before. The photos almost always leave them convinced and happy. The “not worth it” reviews are often written by people who did not return to their treatment provider to see their before and after comparisons. CoolSculpting has the highest “worth it” rating of all body-contouring treatments. CoolSculpting is not for weight-loss. It is a body-contouring treatment that can reduce localized areas of fat. An ideal candidate will be within 30 pounds of their ideal weight, but anyone wishing to reduce a localized area of fat could be a good candidate. Only the area of fat that is treated will be reduced in size so it is important to have realistic expectations. Fat is not heavy compared to its volume. A single pound of fat is the size of a pound of butter. When you think about reducing fat from a localized area, a small weight change makes a big difference. When you look at before and after photos of CoolSculpting results, the best examples will be those that show little or no weight-change. If the weight has not changed the fat-loss is clearly a result of the treatment, not weight-loss results from diet or exercise. No, this is part of the post-treatment instructions following SculpSure, but is not required after CoolSculpting. Inflammation is to be expected and the nerves in the fat that was treated will be temporarily desensitized. It is normal to feel a numb sensation afterward but this typically resolves within a few days or 2-3 weeks at most. Bruising is not uncommon and at some point within the first two weeks you may experience one or more of the following sensations: deep itching, tingling, pain in the treatment area, mild to severe cramping, muscle spasms, aching and/or soreness. Side effects have been dramatically reduced since the introduction of the new cooling devices. Other less common side effects will be discussed at the time of your consultation. It only requires one treatment to see undeniable results, although many people opt to do another round of treatments for further reduction. Those who wish to debulk should expect that a second round will be required. Yes, it absolutely can, and it can do so without the risks of plastic surgery. It is important to have realistic expectations, however. A single round of non-surgical body-contouring cannot get rid of as much fat as a single lipo-suction plastic surgery can. Additional treatments could be required to achieve results comparable to plastic surgery. The cost for CoolSculpting is less so additional rounds could still cost less than plastic surgery. Another thing to consider is that non-surgical body contouring cannot correct loose skin like a tummy tuck can. The fat that clears after CoolSculpting will be gone for good and many people, after seeing the results from their CoolSculpting procedure, are motivated to take even better care of themselves. If you do gain weight, however, the weight will be more likely to accumulate evenly all over your body, not localized in the treated areas where it previously tended to accumulate. The coldest part of a CoolSculpting treatment is the gel pad that is applied to the skin prior to application of the cooling device. Oddly, while this gel pad is at room temperature it feels ice cold. The purpose is to protect the skin from frostbite. Once the cooling device is applied it feels cool but not cold for 5-10 minutes. Then the nerves become desensitized and you feel nothing at all. The 2-minute post-treatment massage is the most uncomfortable part of the CoolSculpting treatment but most people feel this is quite tolerable. Since it’s introduction in 2011 the technology has evolved greatly with the introduction of new machines and new improved applicators. On the contrary there would be a definite disadvantage to having the treatment done with the first CoolSculpting machines to hit the market.